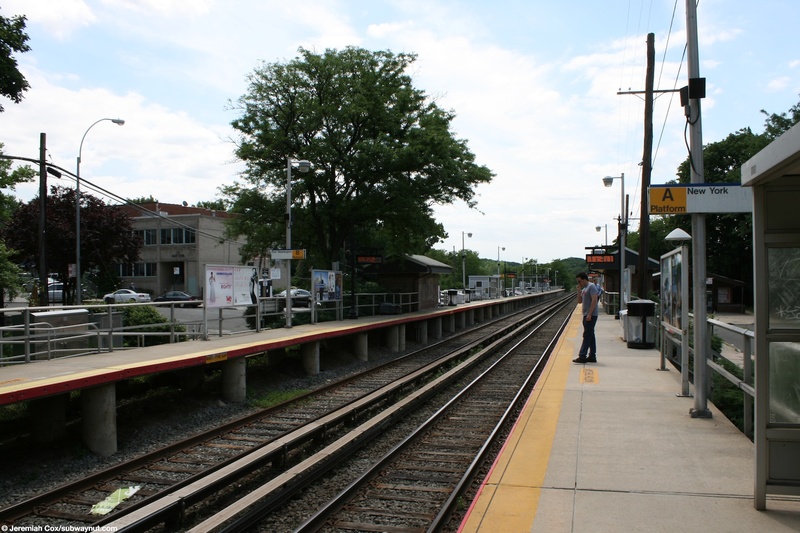 Douglaston is an LIRR station located in extremely eastern Queens that feels like it is already in a suburban town and not NYC. 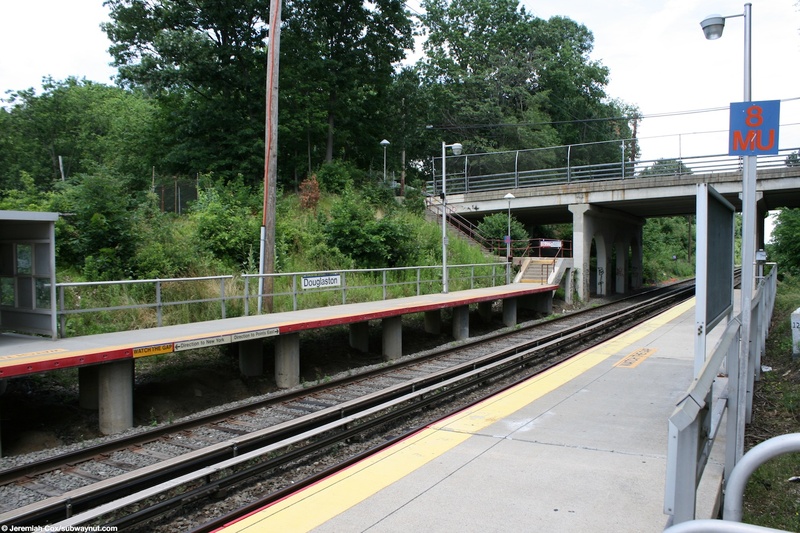 The stop has two side platforms for the two tracked line, each is an extremely simple 10 car high level platform with just a few silver enclosed areas for waiting passengers (when the station waiting room is closed) and some benches. 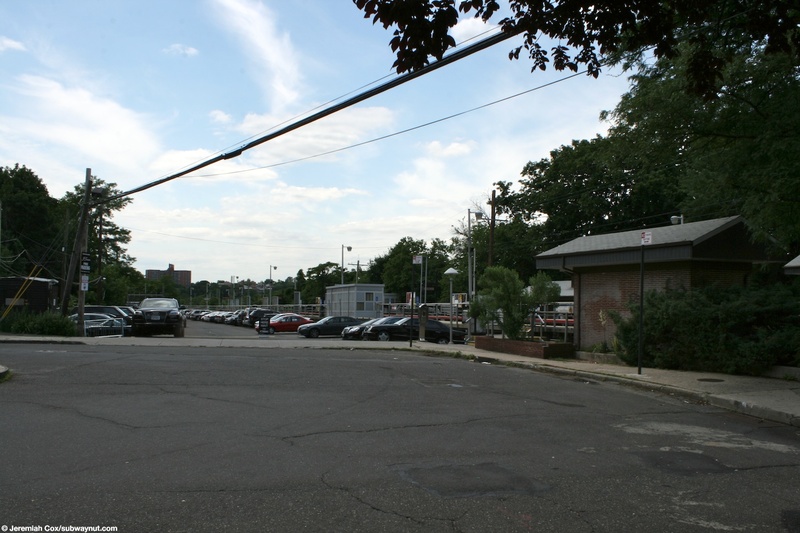 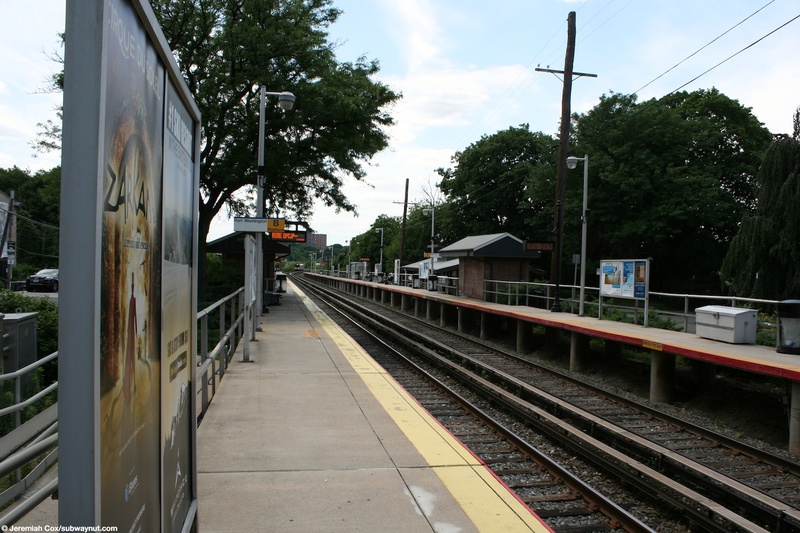 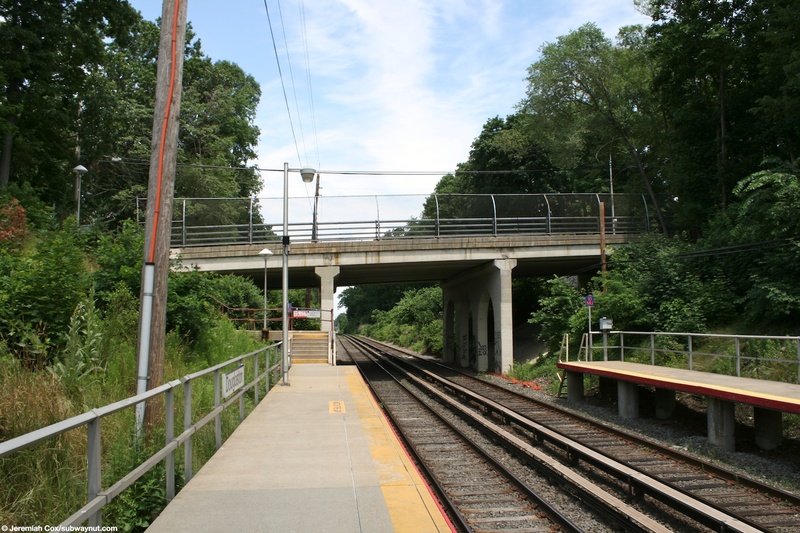 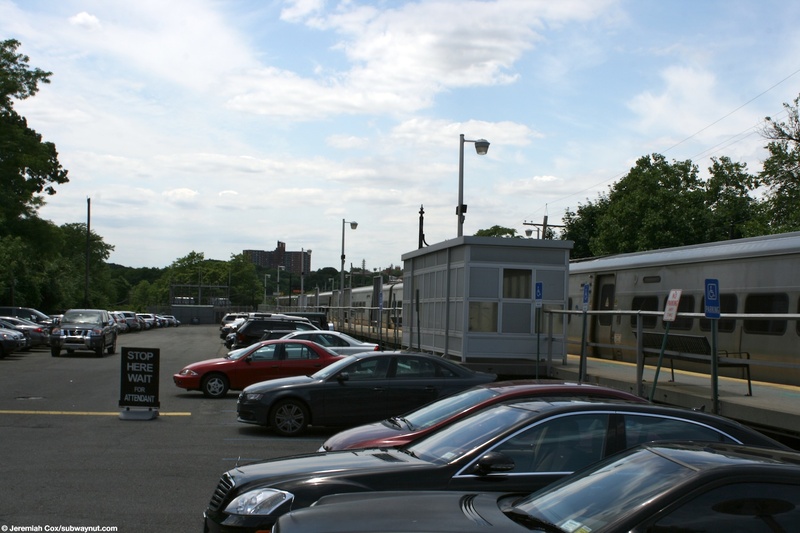 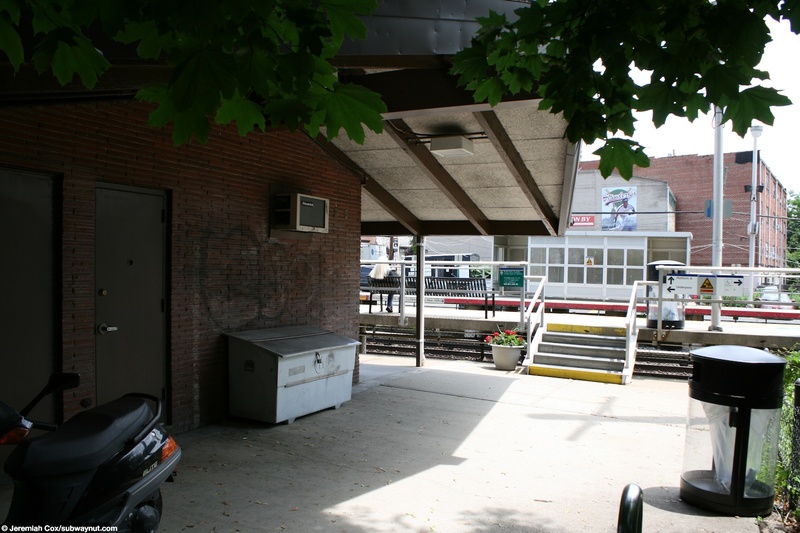 Access to the Port Washington-bound platform is from circle at the end of 235th Street or Douglaston Street (two maps have different names) that ends to a parking lot alongside this platform that is staffed by an attendant of Park Right charging $7 a day, who has little shelter and is required by the management company to ware a tie. 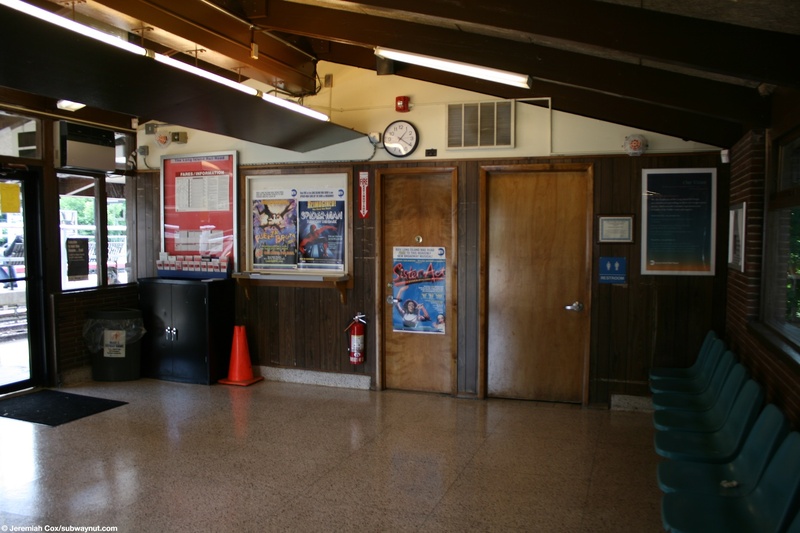 He looked quite hot in the summer heat when I visited the station. 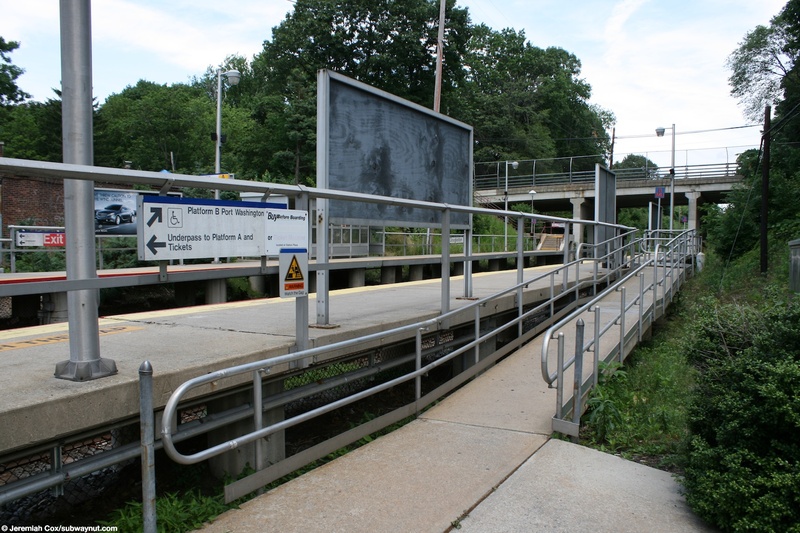 There are few staircases and a ramp up the short distance to the high-level platform. 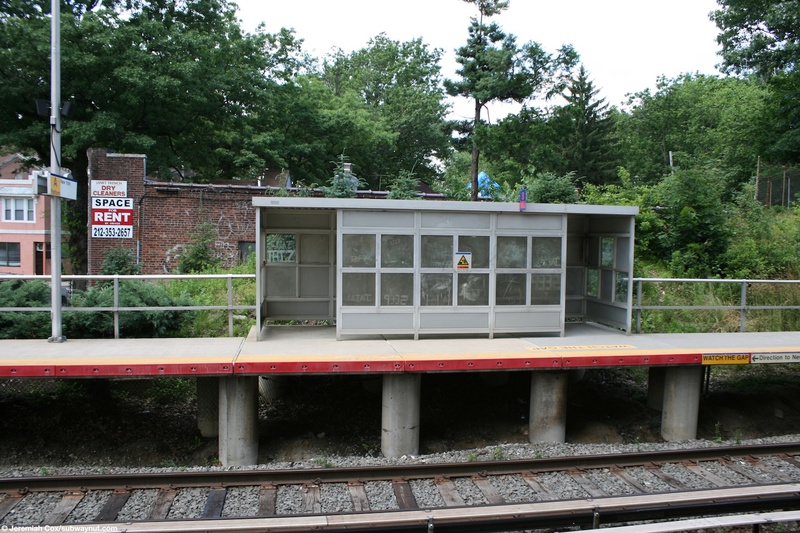 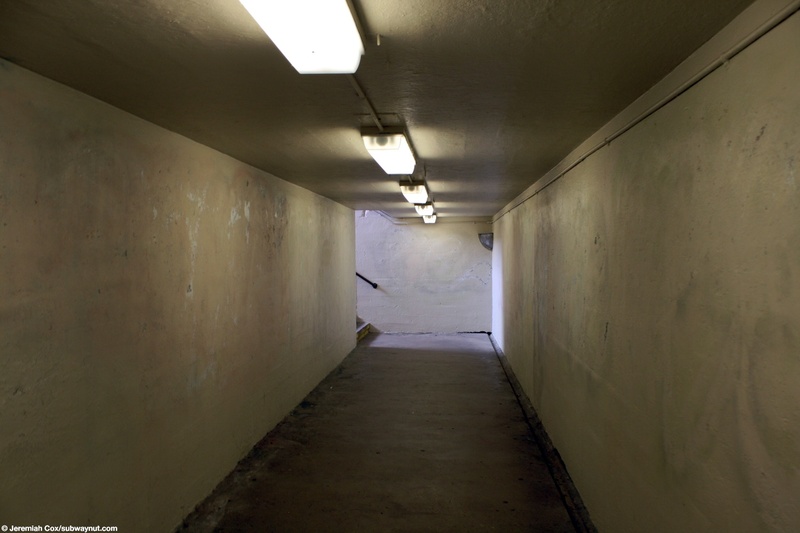 This is connected to the Manhattan-bound platform by a narrow underpass with a single staircase down from each platform, it has a small brick enclosure at both ends. 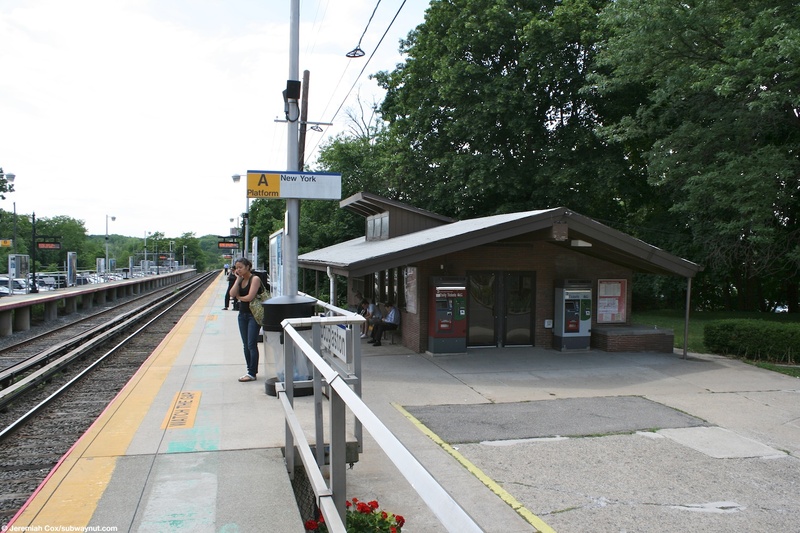 On the New York-bound platform it leads up to a small brick single story station house with unusual blue seats for waiting passengers and a sealed, closed ticket window. 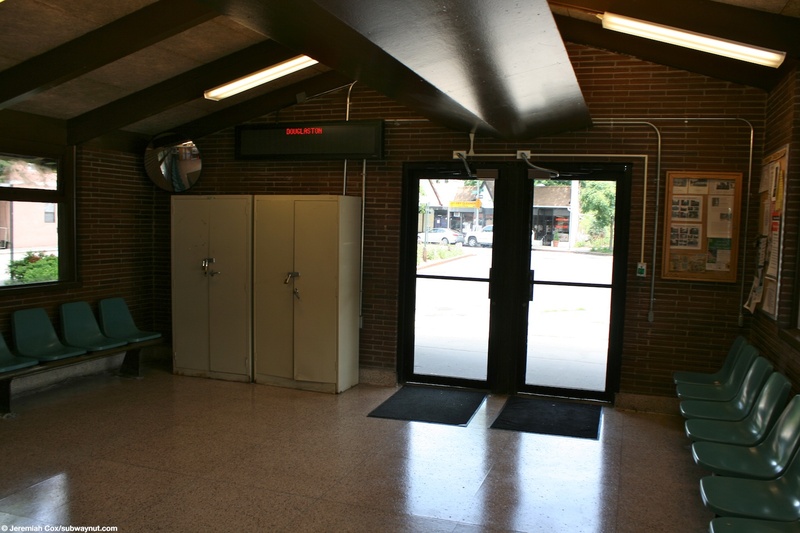 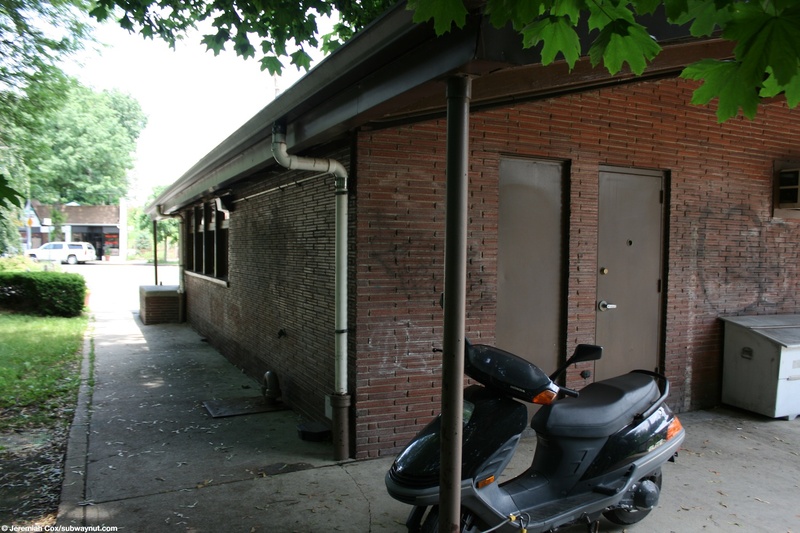 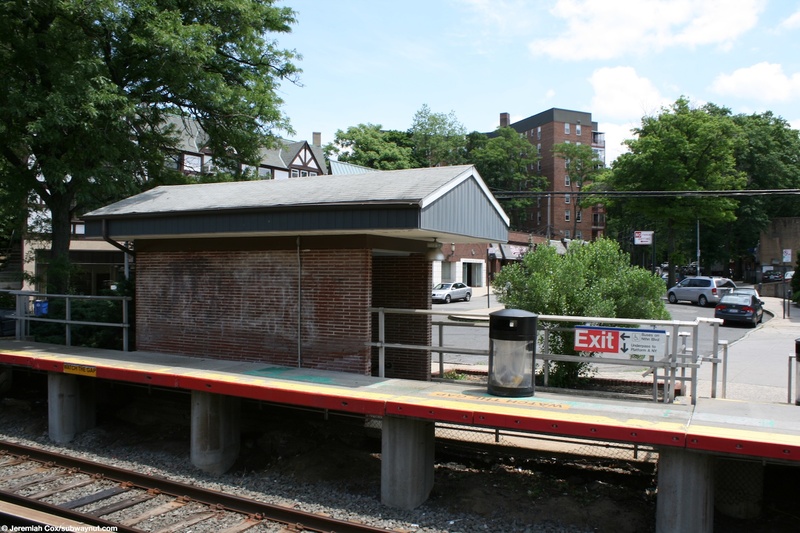 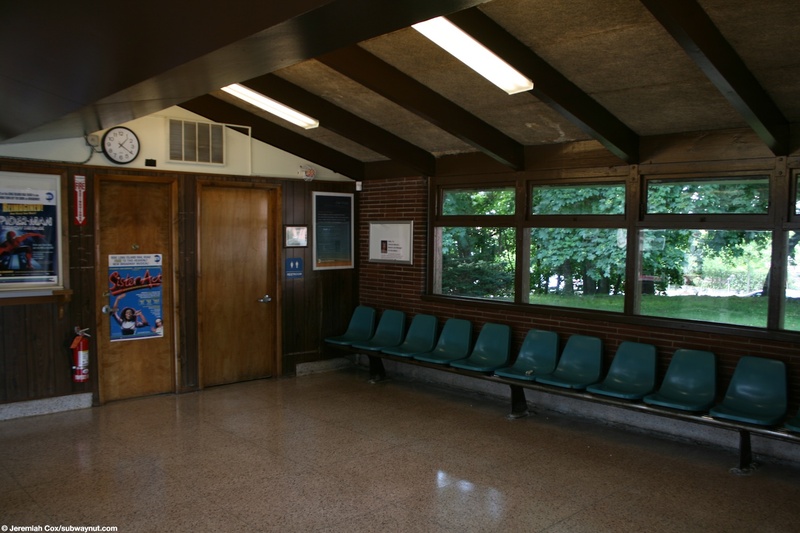 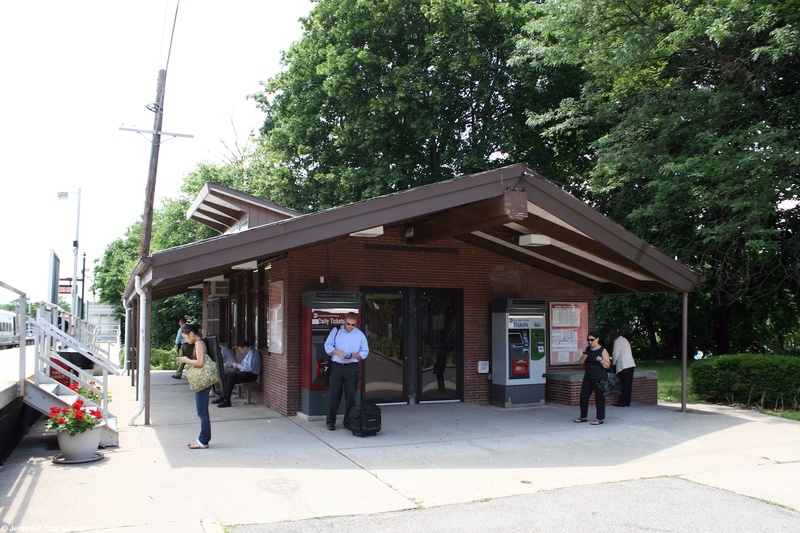 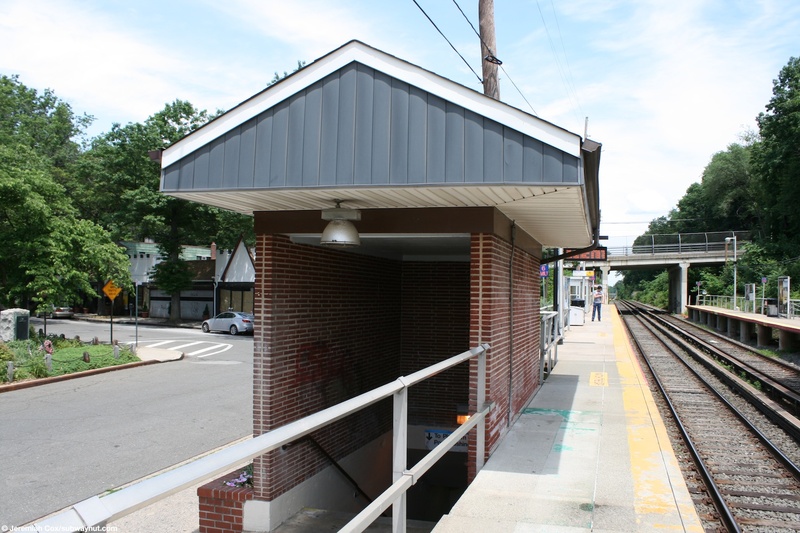 This modern station house was built in 1962 replacing a grand 1887 Queen Anne depot and is at street level alongside 41 Avenue (Forgotten New York entry). 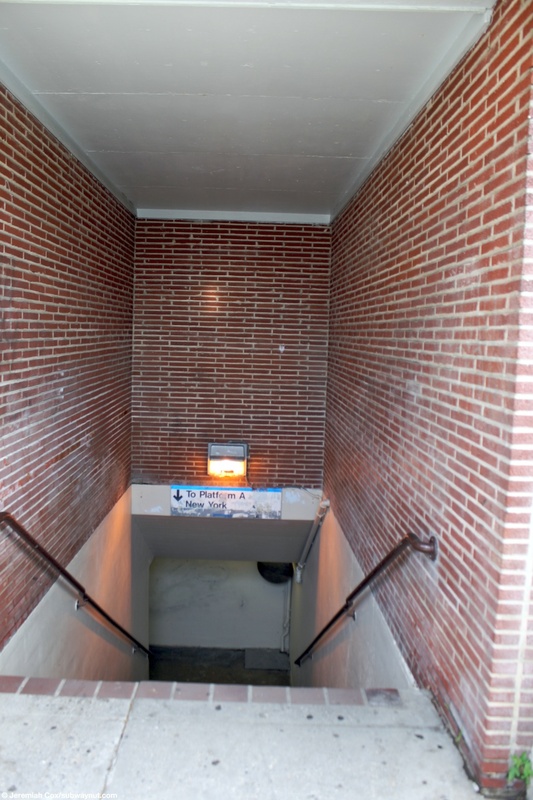 Short staircases and a ramp lead up to the level of the high platform. 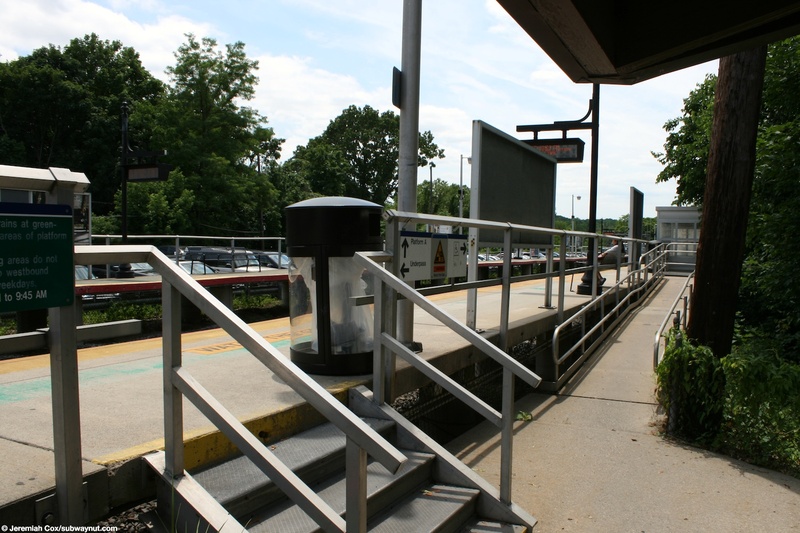 This platform also has a staircase at its eastern end with a vintage looking railing that leads up to Douglaston Parkway's overpass.